DOES EMPIRE SAFETY SOLUTIONS PROVIDE ITS SERVICES IN BC AND ACROSS ALL OF CANADA? WHAT ARE SOME BENEFITS OF HIRING A HEALTH AND SAFETY CONSULTING COMPANY? IS MY BUSINESS IN COMPLIANCE WITH WORKSAFEBC REGULATION? 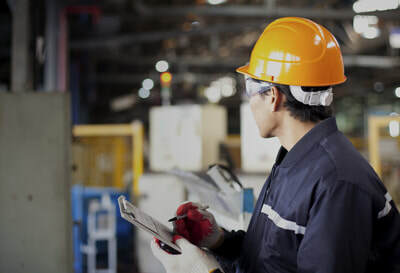 The Occupational Health & Safety Regulation and the Workers Compensation Act has thousands of written regulations and guidelines which, depending upon the industry you work in, employers must follow here in BC. At times, these regulations can be hard to find and sometimes even difficult to understand. So, to know if your in compliance with these regulations is no easy task. However, we at Empire Safety Solutions can definitely make this task a little easier for you. 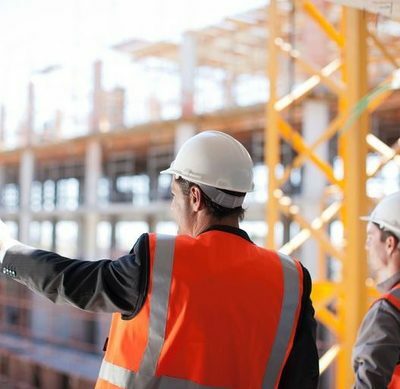 Typically, we will start off by conducting a site safety inspection which will then follow up with a more detailed safety audit of your work site. With this compiled information we can then determine which areas of your business is either in compliance or non-compliance. We will then supply your organization with a detailed, but easy-to-read, report that will help you understand what steps you need to take to ensure you are in compliance with the OHSR & WCA (WorkSafeBC). We will also take the time to verbally go over our written report, step-by-step, with your team to ensure you fully understand the contents of the report and that you are comfortable in taking the next steps towards achieving safety excellence in your workplace. HOW DO I REDUCE MY WORKSAFEBC (WCB) PREMIUMS? A commitment to health and safety can create a better work environment, help businesses retain good workers, and lead to greater productivity and better customer service from workers who are trained to do their jobs safely. Fewer workplace accidents can also reduce business costs such as those incurred in training temporary employees, repairing property damage, or paying WorkSafeBC fines and increased WorkSafeBC premiums. A well run business not only values its customers, but also values its employees. We at Empire Safety Solutions educate employers on how a proper implemented safety program not only prevents injuries and disease in the workplace, but also ensures you are in compliance with the OHSR Regulation (WorkSafeBC) and in the long run - can save you money. Yes read that correctly, a good safety program can save you money. High injury rates at your workplace result in your premium rates to increase rapidly. Thus, forcing you to pay more in premiums on a yearly basis. However, these costs can be reduced considerably by preventing injuries and ensuring a proper health and safety program has been implemented at your workplace. 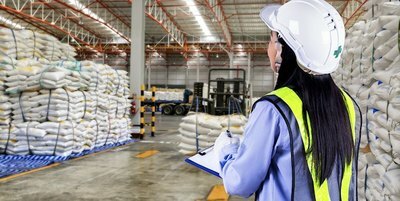 HOW DO I KNOW IF MY BUSINESS NEEDS A HEALTH & SAFETY PROGRAM? ​All B.C. workplaces, regardless of the type of industry you work in or the size of your business, are required to have either a FORMAL or INFORMAL occupational health and safety program. The Occupational Health & Safety Regulation (WorkSafeBC) states that an FORMAL occupational health and safety program must be initiated and maintained by each employer that has a workforce of 20 or more workers, and at least one workplace that is determined to create a moderate or high risk of injury, or by each employer that has a workforce of 50 or more workers. If this applies to the employer, the occupational health and safety program applies to the whole of the employer's operations. Also, an occupational health and safety program may be required in any workplace when, in the opinion of an WorkSafeBC officer, such a program is necessary. Click here (Part 3 Section 3.1) to read the legislation on formal Occupational Health and Safety Programs. 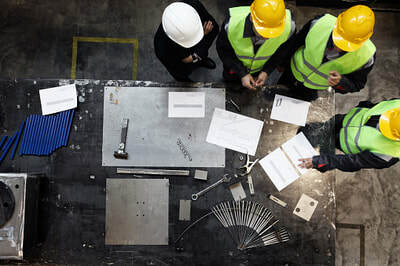 In any operation where the workforce is less than 20 employees the employer must initiate and maintain a less formal (INFORMAL) program based on regular monthly meetings with workers for discussion of health and safety matters, ensure that meetings are directed to matters concerning the correction of unsafe conditions and practices and the maintenance of cooperative interest in the health and safety of the workforce, and maintain a record of the meetings and the matters discussed. Click here (Part 3 Section 3.2) to read the legislation on informal Occupational Health and Safety Programs. We can help you develop an formal or informal health and safety program which will help you maintain your excellent safety record. WHAT NEEDS TO BE INCLUDED ON YOUR OCCUPATIONAL HEALTH AND SAFETY PROGRAM IN BC? 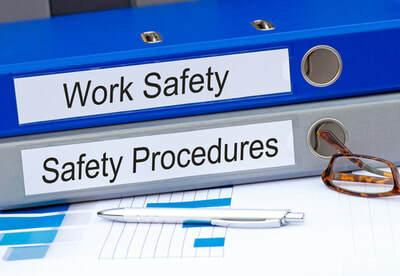 The different types of health and safety policies and procedures which need to be included in your OHS program depends upon the nature of your work, the hazard rating of your industry and how large your organization is. However, WorkSafeBC does state that your Occupational health and Safety Program in BC needs to be designed a certain way as per the OHSR Regulations. AS AN EMPLOYER WHAT ARE MY LEGAL HEALTH AND SAFETY RESPONSIBILITIES IN BC? Whether your business is large or small in BC, the WorkSafeBC OHS Regulations and the Worker's Compensation Act requires that it be a safe and healthy place to work. If you are an employer, it is your responsibility to ensure a healthy and safe workplace. Establish a valid occupational health and safety program. 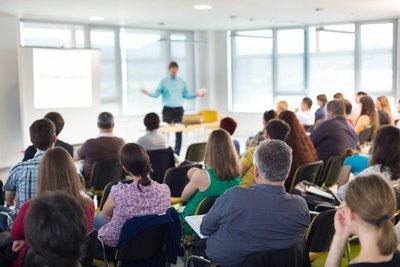 Train your employees to do their work safely and provide proper supervision. Provide supervisors with the necessary support and training to carry out health and safety responsibilities. Ensure adequate first aid equipment, supplies, and trained attendants are on site to handle injuries. Regularly inspect your workplace to make sure everything is working properly. Fix problems reported by workers. Transport injured workers to the nearest location for medical treatment. Report all injuries to WorkSafeBC that required medical attention. Investigate incidents where workers are injured or equipment is damaged. Submit the necessary forms to WorkSafeBC. AS A SUPERVISOR OR MANAGER WHAT ARE MY LEGAL HEALTH AND SAFETY RESPONSIBILITIES IN BC? Supervisors in BC play a key role with very specific health and safety responsibilities that need to be understood. A supervisor is a person who instructs, directs, and controls workers in the performance of their duties. A supervisor can be any worker, management or staff who meets this definition, whether or not he or she has the supervisor title. If someone in the workplace has a supervisor's responsibilities, that person is responsible for worker health and safety. AS A PRIME CONTRACTOR WHAT ARE MY LEGAL HEALTH AND SAFETY RESPONSIBILITIES IN BC ? While prime contractors in BC have overall responsibility for health and safety on a work site, employers still retain responsibility for the health and safety of their own workers.